Nick Temple, from Social Enterprise UK. 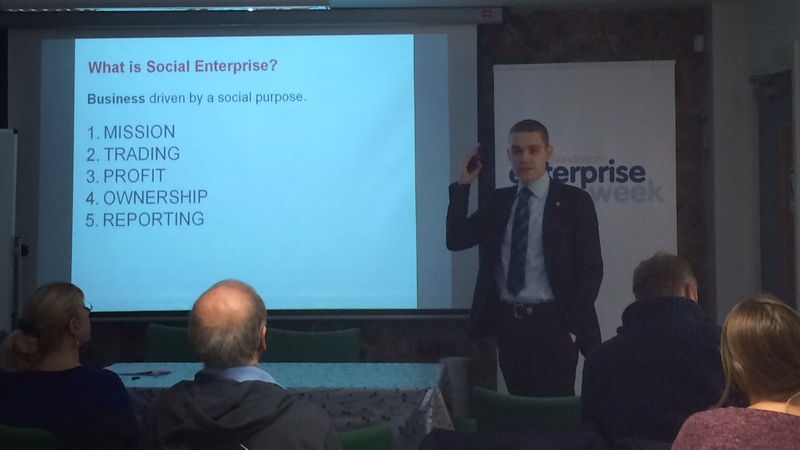 I started this morning off ‘launching’ the Wandsworth Enterprise Week at the first event, a session on social enterprise. The week is an enhancement of the council’s previous annual business forum. While that even was always popular (attendance always in the hundreds) and always well-received (indeed, I always thought the evaluation forms we received were probably a bit too ambitious) it missed something. The nature of a single set-piece event in a dynamic borough like Wandsworth meant it was trying to do too much. Certainly they would have inspiring and informative speakers, but inspiring and informative isn’t the same as relevant. This year, by having an entire week of events it means we can have more focus on specific topics, invite more relevant speakers and provide more value to attendees. Holding the business rôle on Wandsworth has been a privilege, but always slightly humbling, because for all my admiration for those running businesses I’ve always been a little too risk averse—and perhaps a little too lazy—to join them. But if you don’t suffer those faults then take a look at the Wandsworth Enterprise Week website and see if there’s anything that takes your fancy.